The members of Profiles Asia management and staff posed for a shot during the media launched of their event in Ortigas, Pasig City recently. The leader in online assessments in the country, Profiles Asia Pacific, Inc. will hold its first ever international conference in the country entitled “ITADC: International Talent Assessment and Development Conference”. In collaboration with Profiles International, the conference aims to help organizations provide positive, sustainable solutions to the most pressing issues in the workforce, and help take talent management to the next level. As a leader in providing up to par HR solutions, Profiles Asia Pacific, Inc. gives importance to the development of talents by bringing their passion, expertise and resources and commitment to greatly contribute to each organization. The Talent Assessment and Development Conference features two days of presentations focused on renewing individual and organizational vitality and preparing for the future of recruitment with topics such as Filipino benchmarking, career planning, building a competency framework and creating a coaching culture. One of the highlights of the said event is the certification training. At these sessions, clients receive in-depth training that outlines all elements of the science behind assessments. Attendees learn how to use the products for maximum impact in their own organizations for activities such as benchmarking positions within the company and training and developing their employees. The conference boasts noted industry experts, both local and foreign. Senior-level HR executives from some of the country’s most prominent organizations and industries are expected to gather for this year’s event. 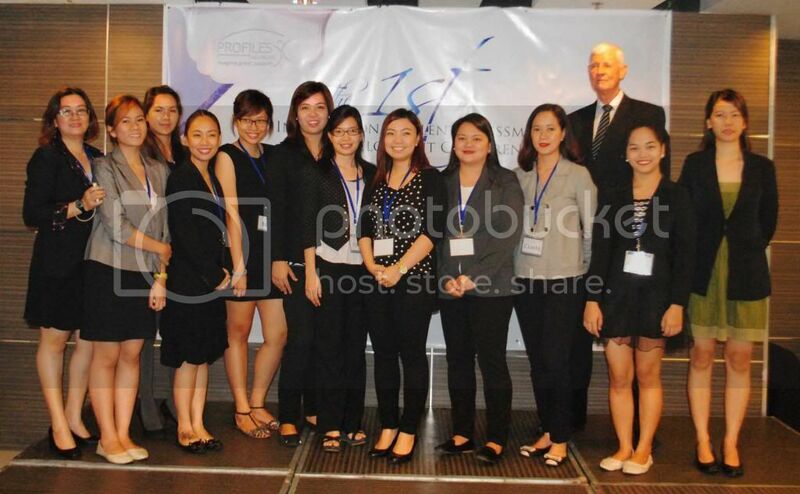 Taking place December 4-6, 2013 at the Asian Institute of Management in Makati City, this year’s conference is designed to give attendees a more in-depth educational experience to help bring new ideas and plans to the attendees’ organizations. Take part in this once in a lifetime opportunity and be part of history; for more details visit the event website at http://www.profilesinternational.ph/ITADC.